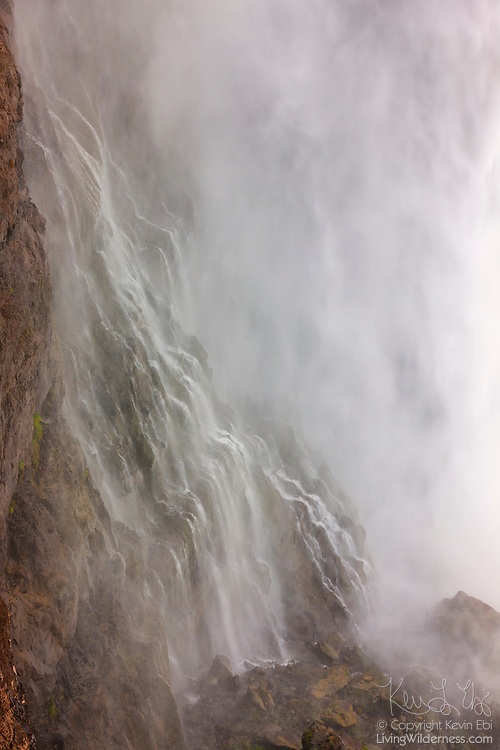 Mist from Snoqualmie Falls during a particularly heavy flow drifts and forms a secondary waterfall. The 268 foot (82 meter) waterfall is located between the cities of Fall City and Snoqualmie, Washington. Copyright 2013 Kevin Ebi/LivingWilderness.com. All rights reserved.